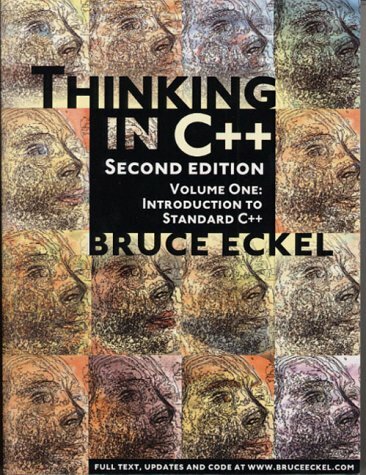 The new edition of Bruce Eckel's Thinking in C++ is an excellent tutorial to mastering this rich (and sometimes daunting) programming language, filled with expert advice and written in a patient, knowledgeable style. The emphasis here is on practical programming, so there's basic advice on using header files, preprocessor directives, and namespaces to organize code effectively. Covers the language features of C++ so that readers can use Qt 4 classes in the examples and assignments. It is a textbook for teaching language and design patterns, emphasising open-source code reuse. It assumes no C++ programming experience. This book is intended for introductory Computer Science courses that use C++ as an implementation language. It covers the introduction to computers, simple programs, functions and data aggregates, a touch of class, and Object Oriented programming.